You can count on a few annual Connecticut traditions as summer turns to autumn. Fall color starts to emerge, drawing visitors from all over the Northeast, and the state’s baseball fans find a new team to root for once the Yankees have been eliminated from playoff contention. When voters go to the polls on Nov. 6, they can add another certainty: The next governor will be a spectacularly wealthy businessman from the southern part of the state. 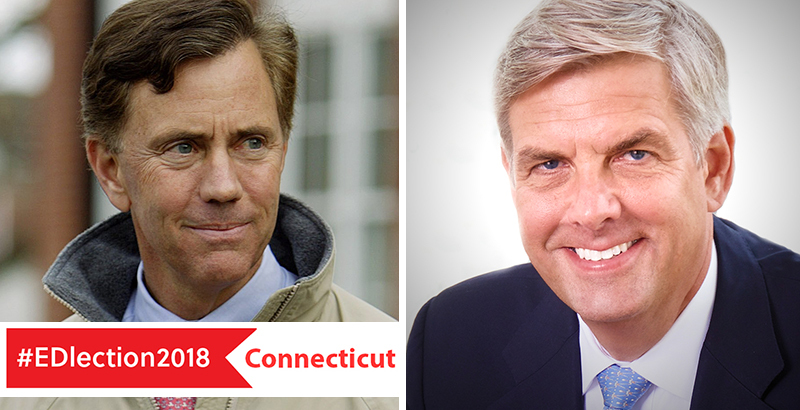 Ned Lamont, a Greenwich telecommunications entrepreneur running as a Democrat, is facing Bob Stefanowski, a Republican and former investment banker from the state’s tony Gold Coast region. Against a courtly backdrop of sport coats and sailboats, the race has taken on the atmosphere of a particularly heated polo match. And just as in other states with competitive elections this fall, education will prove a decisive concern among voters. On paper, Connecticut’s schools are counted among the best in the country, with students regularly posting some of the highest average scores on tests like the National Assessment of Educational Progress. Yet the rich state’s poor students, clustered in a few urban districts, aren’t coming anywhere near those peaks. Per-pupil education funding also ranks near the top for all states, but activists say that past governors have short-changed disadvantaged kids. And the debts associated with teacher pensions now hang like a pall over the local economy. The gubernatorial candidates’ prescriptions differ radically. Stefanowski wants to wipe out the state income tax, an act he says would draw business to the state and ultimately generate more resources for students; Lamont says that would blow a hole in Connecticut’s education revenue and place an even greater burden on cities and towns to support schools through property taxes. He promises instead to fully fund the state’s education funding formula and hire more teachers, social workers, and school counselors. Whoever wins in November, he may come to regret setting foot inside the governor’s mansion in Hartford — and not just because the surround sound is probably better in their own palatial residences. Connecticut is as prosperous as it is picturesque, but after decades spent as a satellite thriving in New York’s orbit, it is struggling to find a way to compete regionally. Its unequal schools, and the enormous costs of running them, might prove more of an enigma than an asset. Incumbent Gov. Dan Malloy, an experienced politician who won two tight races here as a Democrat, has seen his approval ratings plummet over the past few years as he’s struggled to solve these problems. The man who succeeds him will inherit a full plate. Adding to the drama, after years of Democratic dominance, the state legislature may fall under GOP control. Even in foliage-mad New England, Republicans are likely growing nervous as the leaves begin to change. Midterm races tend to break against the party in power, and President Trump dominates the news cycle to such an extent that any election is bound to be a referendum on his performance. Given Connecticut’s heavily blue tilt — it is one of just a handful of states in which Democrats have elected a governor as well as majorities in both chambers of the state legislature — and Trump’s abysmal approval ratings there, this should be an easy hold. That’s not what election watchers are predicting, however. After eight years of a Democratic governance “trifecta,” voters have soured on one-party control. At least some of their dissatisfaction can be attributed to the state’s creeping recovery from the Great Recession. A decade after the fact, many of the financial services jobs lost in the crash still haven’t returned, and the high-profile defections of General Electric and Aetna have rocked the business community. Nine years ago, the blue squad held a 114-37 majority in the Connecticut House and a 24-12 majority in the Senate; today, their edge in the House has dwindled to just nine seats, while the Senate is evenly split. Both the gubernatorial and the legislative elections will be among the closest-watched in the country, a rare opportunity for Republicans to make significant gains. 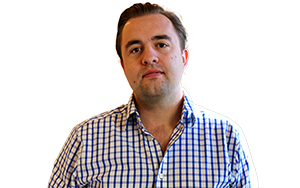 According to Christine Stuart, editor of the popular local website CT News Junkie, the prognosis would be darker for Democrats if not for the surprising results of the 2016 election. The decline in the Democrats’ fortunes has unfolded over Gov. Malloy’s time in office, which has been marked by several painful rounds of tax hikes and cuts to municipal aid. Both parties generally agree that the retrenchment was necessary to improve the state’s fiscal outlook. But after an especially bruising budget fight last year, which dragged on four months past the state’s statutory deadline, Malloy has settled into the ranks of the most unloved governors in the country, according to recent polling. That 2017 free-for-all was partially the result of Malloy’s suggested changes to the Education Cost Sharing formula, a $2 billion fund provided by the state to districts. To help trim the state’s significant deficit, as well as direct more revenue toward needy urban districts like New Haven, Bridgeport, and Hartford, Malloy proposed eliminating state aid to wealthy communities like Fairfield and Darien. The legislature ultimately agreed to pare back funding from all but the 30 neediest school districts out of 170 in the state (though not to the lengths that Malloy had requested). But they didn’t go along with the governor’s more controversial proposal to shift a significant portion of teacher pension costs from the state to cities and towns. By any measure, Connecticut’s public employee costs are endangering its financial health. Its pension obligations are just 41 percent funded, according to an analysis by the Tax Foundation — the fourth-worst ratio of any state. Though Connecticut pays some of the highest teacher salaries in the country, a 2016 report from education researcher Chad Aldeman found that its educators could earn over $14,000 more per year if the state weren’t plowing that money into debt service. And across the state, almost 1,400 retirees are collecting over $100,000 per year in retirement benefits, a more than threefold increase in less than a decade. Stuart agreed that Connecticut’s financial challenges were driven in large part by teacher costs, and she said that last year’s prolonged budget standoff was a dark omen. While Lamont and Stefanowski share much in the way of private-sector expertise, their ideological profiles couldn’t be more dissimilar. Lamont became a national symbol of liberal rabble-rousing in 2006 thanks to his unsuccessful bid to unseat Sen. Joe Lieberman from the left. Twelve years later, he’s seizing on anti-Trump animus to propel his candidacy. Of course, the income tax collects roughly $9.7 billion per year, or about half of the value of the state’s General Fund. Ending it, Lamont says, would mean that cities and towns would have to either jack up their own property taxes or face substantial cuts to education funding. Because of the severe income inequality prevailing throughout the state, declining education revenue can be borne by some areas more easily than others. Wealthier districts spend even more on schools than Connecticut’s generous statewide average, and they are much less reliant on state aid to raise funds. In Lamont’s hometown of Greenwich, per-pupil spending in 2015-16 was $20,392, nearly all of which came from local property taxes. In poverty-stricken Waterbury, state funding accounted for more than half of the $14,229 spent per pupil that year. But the gulf in funding between rich and poor districts is nothing compared to the divergence in academic performance between their students. Connecticut’s achievement gap between kids from high-income and low-income families is generally considered the largest in the country. Not too far from the rolling lawns and classically furnished homes of Fairfield, pupils in Bridgeport and Waterbury struggle to attain anything close to proficiency in math and English. Frustration over the funding imbalance, and state lawmakers’ unwillingness to attack it, has led education advocates to seek remedies outside the political process. After a decade-long legal fight, they won a groundbreaking ruling in Connecticut superior court two years ago, which mandated that the state overhaul its school funding, teacher pay and evaluation, and high school graduation requirements. But the victory was short-lived. Fourteen months later, the state Supreme Court reversed the ruling, arguing that the state had met its minimal constitutional obligations to students and that it was for the legislature, not the judiciary, to design a fix. It’s questionable whether such a development is likely. Additional funding for poor districts — perhaps through fully funding the Education Cost Sharing fund, as Lamont has suggested — would cost hundreds of millions of dollars the state would otherwise use to retire its towering debts. And even if the means could be found, the political obstacles would be great: If Republicans win control over the statehouse and the governor’s mansion, which is currently seen by national political observers as a 50-50 proposition, the resulting tax cuts would mean a huge hit to revenues even if they don’t fully approve Stefanowski’s program. And if neither party achieves a trifecta, the gridlock of last year’s budget debate could be a preview of what’s to come. While partisan gamesmanship hasn’t reached the level in Hartford that is common in Washington, D.C., the Democrats’ diminished numbers since 2016 have limited their influence to the extent that, in Stuart’s eyes, they can no longer claim a functioning majority.